New research shows that travel is the top bucket list goal for Americans. If you are planning your next trip, The Center for Disease Control and Prevention (CDC) offers an extensive list of health-related items to consider packing. 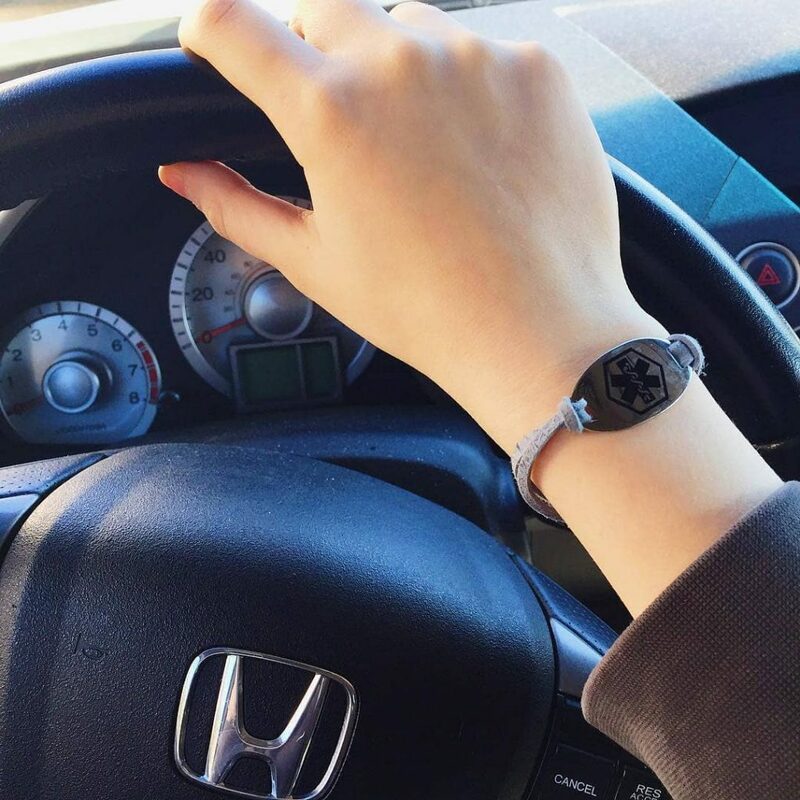 This list can help you feel more prepared and enjoy more peace of mind during your journey. Remember that this is a general list and may still not include all the items you need, especially if you are living with a medical condition. It is generally advisable that travelers seek their doctor’s advice on the most important items to bring. According to Expedia, the majority of American travelers begin to plan 1-3 months in advance of departing on their trip. It’s a good idea to also use this time to complete a packing list. Purchasing medical supplies ahead of time is more likely to ensure that they are in stock by the time you pack your health essentials. How many of these health-related items you need to pack will depend on different factors. Consider the length of your trip, potential travel delays, and if these medical supplies are available at your destination. If you have a health condition, a medical ID is one of the most important pieces of jewelry you can wear every day. It is designed to speak for you when you can’t. 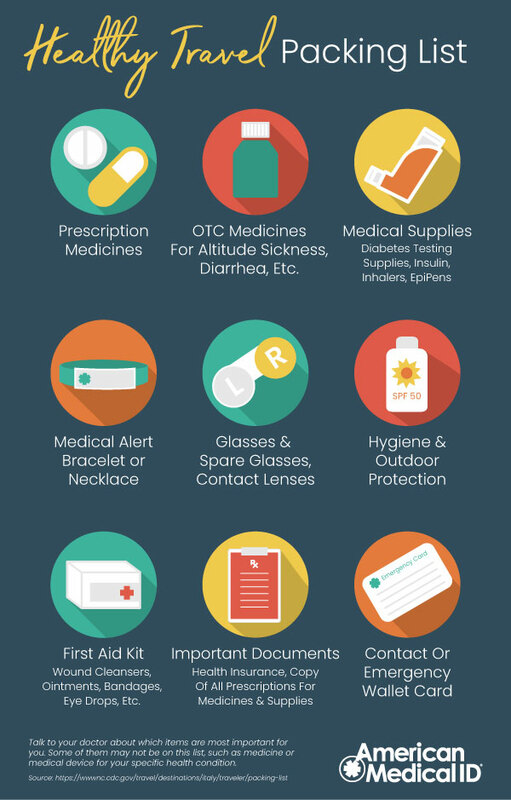 If an unexpected emergency strikes, a medical ID bracelet or necklace can be the most important item on your packing list. All medical IDs are customized to their wearer and no one person is the same. Therefore, it is important that you order your medical ID 2-3 weeks before your scheduled travel. 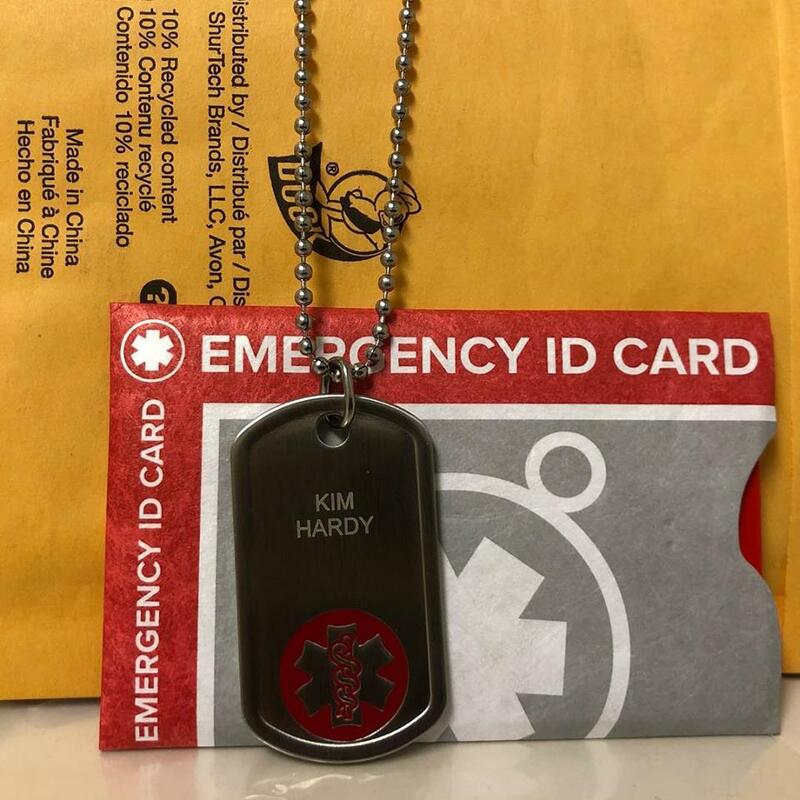 Emergency ID bands, bracelets, or necklaces, are designed to be worn at all times. It’s a good idea to choose a medical ID that can withstand the activities of your trip. Silicone medical IDs are recommended for activities where you could be exposed to sweat and water. For outdoor adventures such as hiking or climbing, a paracord medical ID can withstand the toughest elements out there. 95% of emergency responders are trained to look for medical identification around the wrist or neck. Wear your medical ID to ensure they’re spotted quickly in an emergency. Contact cards are also part of CDC’s packing tips. An emergency wallet card is an excellent back-up for a medical ID in case you forgot to wear one. It usually contains detailed information of your emergency contacts, medical history, and medicines you’re currently taking. “SEE WALLET CARD” can be engraved on a medical ID to direct responders to look for one. 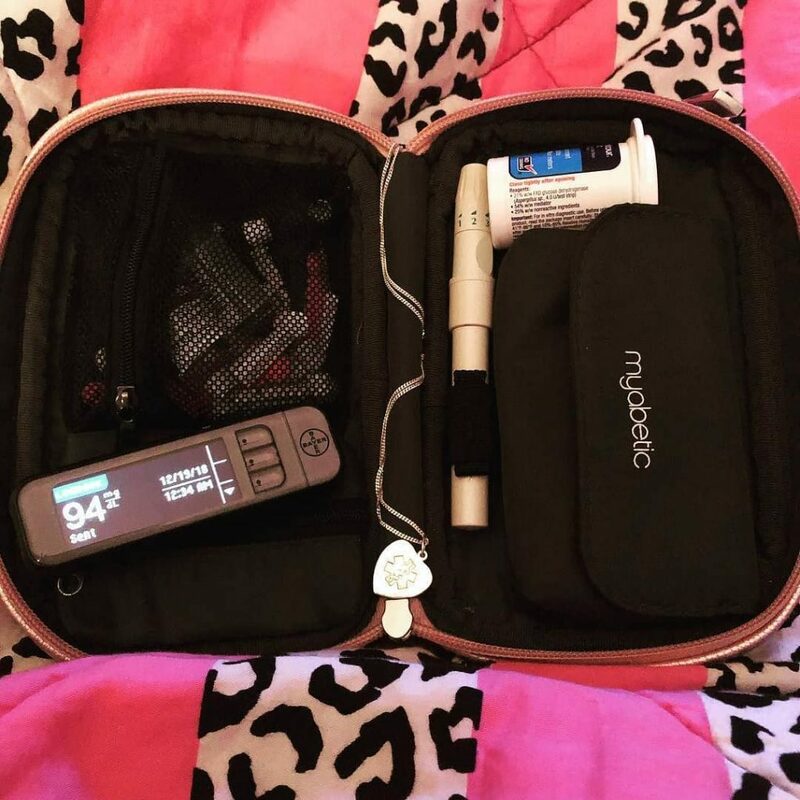 allergies, diabetes medical ID, food allergy, holidays, medical ID, medical ID bracelet, medical ID jewelry, travel, travel packing list, travel safety. Bookmark.